In light of the story of the British woman jailed for smuggling painkillers into Egypt, Punter Southall Health & Protection have warned companies sending personnel abroad that it is their "duty of care to ensure employees understand the legislation and cultural differences of that country." 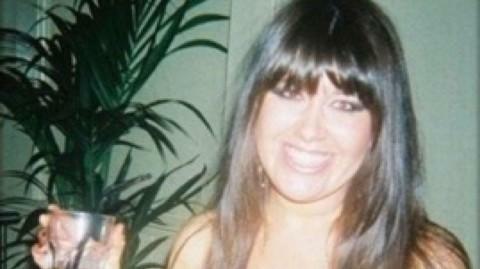 British retail worker Laura Plummer, was recently arrested in the Red Sea resort of Hurghada after she was found to be carrying 290 Tramadol tablets in her suitcase, a painkiller which is legal in the UK but which is banned in Egypt. She was convicted of smuggling and is now serving a 3 year sentence. A word of warning for anyone travelling to Saudi Arabia - stay well away from any dabbing. The move could see you spending some time in jail. Abdullah al-Shahrani, a Saudi entertainer, was recently detained by Saudi authorities after dabbing during a concert in the city of Taif. Traditionally one of the more expensive destinations to send expatriate staff, a survey has found that the UK is now becoming cheaper for foreign companies. The MyExpatriate Market Pay survey (published annually by ECA International) states that for the past few years the fall in the value of UK Sterling has meant that for companies outside the country, operating mainly in USD, sending resources to Britain has become around 11% cheaper. Where is the Most Expensive Destination for Expatriates? Since relocation training forms such a significant part of the work undertaken by us here at Commisceo, it’s essential that we keep up to date with global changes and their impacts on all things ‘expatriate’. 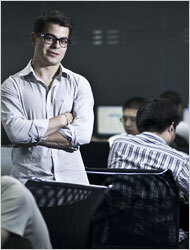 Mercer, is just one of our trusted ‘go to’ experts. As consultants in the fields of talent, investments and health, their annual Cost of Living surveys are a must read for companies engaged in the relocation of their employees. As a cross cultural training consultancy, we have a great insight into the countries which rate highly as expat destinations and it seems that India is certainly viewed highly as a popular ‘go to’ country at the moment....especially with Americans. The numbers now moving to India for work is phenomenal. 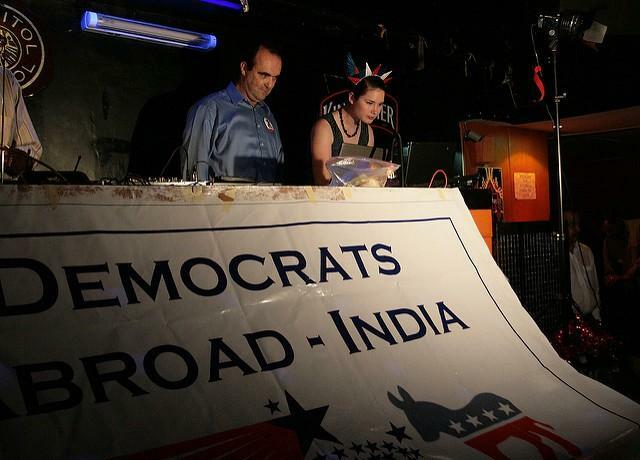 Why is India so popular for American Expatriates? Trade deals are a key reason. The US is India’s key second biggest trading partner after China whilst India is the US’s eleventh largest trading partner. The strength of mutual trading makes for a pretty strong relationship between the two countries and clearly generates considerable relocation opportunities for both parties. India is also one of the fastest growing global economies which makes it more likely that investments in this part of the world are likely to do well. Price Waterhouse Cooper predicts that as many as 70,000 British employees will relocate to alternative European locations between now and 2020 following the vite to Brexit vote. This is not counting the thousands of non-British that could also leave. We are already seeing signs and it is slowly becoming a reality for a number of employees. As a number of companies seek to retain access to European skills, initiatives and pan EU licensing & tax arrangements, relocation of key staff has become central to their contingency planning. 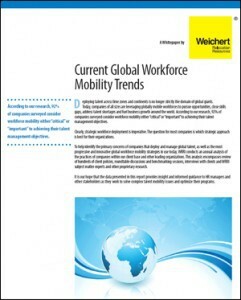 Weichert Relocation Resources have recently released a whitepaper entitled “Current Global Workforce Mobility Trends”. These reports, no matter which company its from, are a great insight into international relocations and personnel movements. When people decide that they want to move country with their work it can sometimes be a challenging time (especially if they are taking their family with them). Whereas traditional views considered the expatriate the sole actor in his/her adjustment process; recent literature suggests an important role for host country nationals in the expatriate adjustment process. It seems that socialization tactics of the organization and the information-seeking process of the individual have been overlooked as factors in the success of expatriates. As well, expatriates will also experience socialization in the host country national culture. This distinction between socialization in organization and host country national culture is essential. Because incoming expatriates are new organizational members, it is likely that boundaries between organizational and national culture will not always be recognized as such. Socialization in this context can be defined as the process by which an individual fits in or becomes adjusted to a new role in the organization and learns the content of information necessary for adjustment to this new role. Socialization is, therefore, essentially a learning process and has been described as an expatriate coping strategy (Stahl and Caligiuri, 2005). Six socialization dimensions can be distinguished: politics, performance proficiency, language, people, history and organizational goals/values. Lueke and Svyantek (2000) suggested that combining knowledge gained through research on both socialization and information seeking processes is essential in gaining an understanding of expatriate turnover. Their suggestion is supported by research confirming that the use of these socialization tactics would affect job satisfaction and commitment to the organization. Overall, financial costs of expatriate turnover/failure have been estimated between $2 and $2.5 billion in recent research. Post-entry socialization experiences then may affect expatriates’ experience of fit and value in the new organization. Consistent with the general nature of socialization described above, Florkowski and Fogel (1999) link perceived acceptance of expatriates in the new organization to host socialization efforts. Socialization is dependent on two players, the host country nationals and the expatriates themselves. Discordant behaviour by either party can disrupt the socialization process. It appears that expatriates at times display behaviours that are unhelpful to their own adjustment process. American expatriates who attempted to avoid resocialization (socializing to a new environment) have been found to experience conflicting internal and external demands. They were unable to communicate effectively with host country nationals and less satisfied with their situation. Best practice in socialization strategies can assist relocating staff members in achieving their new fit to both the organization and a new community. However, expatriate motivation is key in achieving this fit and, at the same time, reducing expatriate turnover. Information and feedback seeking, relationship building, negotiation of job changes and positive framing are suitable tactics for proactive socialization. Positive framing, which in contrast with the other techniques does not involve interactions with others, is a personal technique whereby individuals change their understanding of a situation by explicitly controlling the cognitive frame they put on the situation. Relationship building and positive framing were found to have positive effects on expatriate adjustment. Findings in literature suggest that one size fits all approaches to socialization may not be effective. In order to benefit from the possible positive outcomes related to diversity at the workplace organizations should individualize their socialization tactics within, in particular, collectivistic organizational cultures. Collectivistic cultures tend to favour ingroups and behave according to values and norms within these ingroups. Organizational culture can be defined as the underlying values, beliefs, and principles that serve as a foundation for the organization’s management system, as well as the set of management practices and behaviours that both exemplify and reinforce those principles. This definition emphasizes the role of unique organizational context in socialization processes. Individualized socialization tactics therefore may provide tailored solutions for the individual, which may also increase the efficiency of the learning process as it would build on established skills and knowledge. In summary, deliberate socialization is clearly related to expatriate adjustment and turnover and requires participation of host country nationals. It takes two to tango! Florkowski, G.W. and Fogel, D.S. (1999). Expatriate adjustment and commitment: the role of host-unit treatment. International Journal of Human Resource Management, 10 (5), 783– 807. Lueke, S.B. and Svyantek, D.J. (2000). Organizational socialization in the host country: The missing link in reducing expatriate turnover. The International Journal of Organizational Analysis, 8(4), 380-400. Stahl, G.K. and Caligiuri, P. (2005). The effectiveness of expatriate coping strategies: the moderating role of cultural distance, position level, and time on the international assignment. Journal of Applied Psychology. 90(4), 603-615. Expats often underestimate the challenges of culture shock, and even those who've mastered adaptation are often unprepared for the adjustment the expat bubble itself demands. Recent research published in the American Psychological Association’s Journal of Personality and Social Psychology seems to suggest a truth in the long held notion that living abroad nurtures our creativity. From Byron in Switzerland to Picasso in France, cultural change has historically been seen as the way to broaden the mind and enhance the artistic senses. Now 2009 research headed by William Maddux of INSEAD really has shown that time spent engrossed in a new culture can improve our creative skills- even after we have returned ‘home’. An initial five studies using MBA students at the Kellogg School of Management, Illinois, showed that both cognitive flexibility and negotiation skills were higher in those participants who had spent time living abroad when compared to a control group who had not. One study to solve the Duncker candle problem (where a candle must be properly attached to a wall without dripping: using a candle, a box of matches and a box of tacks) showed that those with experience living abroad were better positioned to imagine the alternative functions of these familiar objects and thus solve the problem. This could mimick the intuitive skills required when dealing with the changing levels of importance placed upon greetings, etiquette, food or clothing and so on, when living abroad. Another study involving a mock negotiation of the sale of a gas station demonstrated that those with living abroad experience were able to be much more creative with negotiations (after the sale price had been removed as the dealbreaker). This on a much simpler level replicates the way domestic shopping differs between countries and cultures, buying spices in a Morroccan market is very different from buying clothes in a Parisian boutique. These two examples easily portray two different skills that are invaluable to most businesses, especially given the difficulties of the current global economic climate. The need for companies to keep innovating to stay competitive makes these skills more important than ever in recruitment, meaning that potential employees with such benefits may find themselves more sought after to fill positions in businesses, especially those operating globally. The reason for the relationship between creativity and living abroad is not altogether known, but follow-up research with MBA students in France has correlated with the earlier Duncker candle findings. 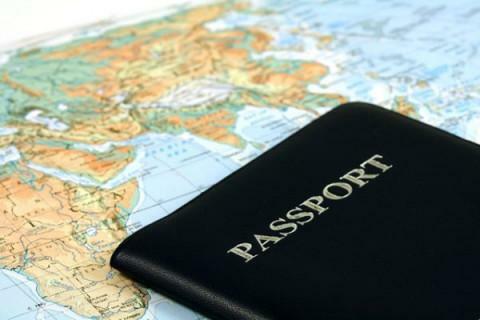 Interestingly, there is no evidence that those who have only traveled abroad either possess these skills or are any better placed than those who travel domestically. This suggests that businesses might therefore benefit more from a system of extended work placements abroad, with employees based in offices in each country, rather than from repeatedly sending employees for short overseas conferences or meetings. Moreover evidence suggests that recreating or ‘priming’ employees to remember their cultural experiences could even benefit them once they have returned ‘home’. Another follow-up study found that Parisian students were much more able to solve cognitive puzzles when recalling the cultural challenges that faced them living outside of France, when compared to the control group who were told to recall any recreational or everyday challenges they had faced. 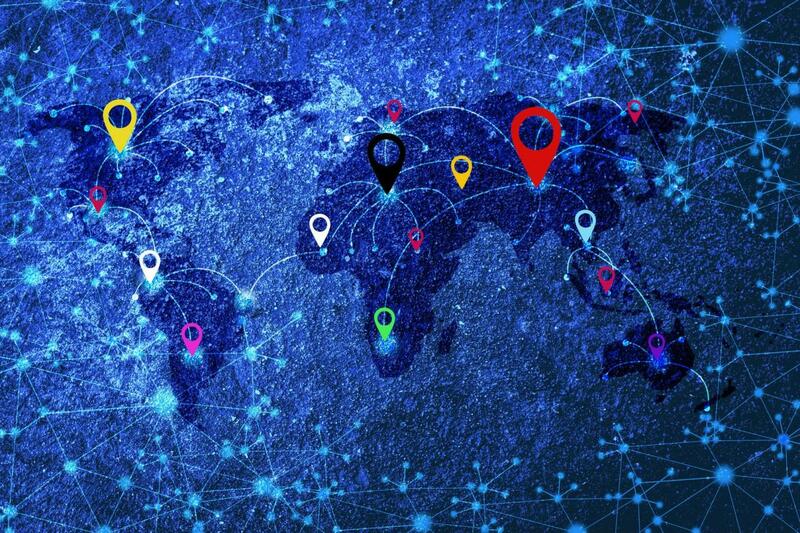 Although this research is by no means empirically conclusive it certainly leads the way for further research and potential business initiatives; whilst asserting the message that global interaction is a collective and individual advantage to one’s life. Furthermore it is an asset to the development of modern Psychology in arguing the ‘nurtured’ acquirement of new skills beyond the constraints of Behavourism, as humans psychologically adapt to their environment. Professionals who are looking into the possibility of working abroad need to check that their qualifications "translate" into other countries. According to expatriate and international lifestyle magazine Shelter Offshore, rules and regulations may also be different overseas, so professionals must ensure they do their research before deciding which country they wish to work in. Rhiannon Davies, co-founder of Shelter Offshore, said professionals must also consider their own needs before making any firm plans. She said: "If someone has a desire to live in a given country, they need to look at what businesses could work in that environment." For example, a professional wanting to try working in Germany would need to carry out research into what type of business is successful in the country and where there may be a gap in the market. Ms Davies was speaking after recent figures from the Office for National Statistics showed that there are almost three million full-time self-employed workers in the UK. In a world where international careers are becoming commonplace, the phenomenon of third culture kids (TCKs) – children who spend a significant portion of their developmental years in a culture outside their parents’ passport culture(s) – is increasing exponentially. Not only is their number increasing, but the cultural complexity and relevance of their experience and the adult TCKs (ATCKs) they become, is also growing. When Ruth Hill Useem, a sociologist, first coined this term in the 1950s, she spent a year researching expatriates in India. She discovered that folks who came from their home (or first) culture and moved to a host (or second) culture, had, in reality, formed a culture, or lifestyle, different from either the first or second cultures. She called this the third culture and the children who grew up in this lifestyle third culture kids. At that time, most expatriate families had parents from the same culture and they often remained in one host culture while overseas. This is no longer the case. Take, for example, Brice Royer, the founder of TCKid.com. His father is a half-French/half-Vietnamese UN peacekeeper while his mom is Ethiopian. Brice lived in seven countries before he was eighteen including France, Mayotte, La Reunion, Ethiopia, Egypt, Canada, and England. He writes, “When people ask me ‘Where are you from?,’ I just joke around and say, ‘My mom says I’m from heaven’.” What other answer can he give? Donna Marsh is a business woman and cultural awareness trainer specialising in many fields. Over her 30 year professional career she has visited more than 140 countries. As a strue globe-trotter this has given her a great insight into the field of intercultural communication, awareness and skills. Now this experience has translated itself into a new publication entitled "Yanks in Blighty". As the title suggests the book is aimed at Americans moving, working or living in the UK who are looking for a better understanding of their new environment and the natives. Having readthe book we are pleased to offer a glowing review and thoroughly recommend it to our readers. The one major factor that sticks out in the book is how much ground is covered in terms of topics. Donna leaves no stones unturned in her examination of what the UK is, where it is and how it is. We are given quick, informative facts on subjects such as the present situation the country is in, the Royal Family, government, the cultural diversity of the population, language, transport, housing, health care and of course the weather. In short this book contains probably everything anyone would ever need when moving to the country. As well as the fantastic details, the book also offers the reader answers to questions they were probably thinking but most authors never thought to answer. Although it may sound trivial, knowing how a washing machine works, how the rubbish (or should I say trash?) is collected and when the sales start are all little things people really do need to know. The book wins in a lot of ways due to its focus. As it is targetted at Americans specifically wanting to understand the UK it allows the author the luxury on concentrating on what they want to know and specific areas of concern for Americans (rather than some other nationality). "As a rule, the British are likely to overlook or at least keep silent about most social behaviour that they do not approve of. Queue jumping a notable exception." You can buy the book by clicking the link below to Amazon or at any decent online bookstore. The ISBN is 978-1-906710-37-8. According to the findings of a survey of 180 managers by London-based consultants Brookfield, more than two thirds of the major multinationals are expecting to post fewer employees abroad this year. Nannette Ritmeester of the Dutch consultancy Expertise in Labour Mobility recognises the picture. She sees two possible responses to the crisis: either send fewer employees abroad, or economise on the facilities for expats, by cutting back on housing allowances or air tickets for trips back home. However, spokespersons for Shell, Philips and Akzo Nobel are keen to stress that they won’t be skimping on perks for expats. “They’re set down in the collective labour agreement – they’re agreed beforehand so you can’t change them,” says a Philips spokesperson. 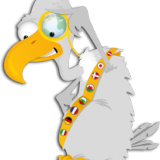 Allo' Expat Sdn Bhd, a Malaysia headquartered online publisher and most visited expatriate social portal worldwide (www.AlloExpat.com). Launched eight years ago, with now more than 40,000 visitors daily, AlloExpat.com is becoming the preferred online media for advertisers in the "expat industry" around the world. Through an efficient and very affordable online advertising space offer and a number of dedicated advertisement packages under its "Expat Best" recommended section, AlloExpat.com provides its advertisers with the right expatriate exposure. Advertisers can also direct their ad campaign nationally, regionally and even globally under one unique website. "Targeting a permanently moving customer target is a challenge by itself. Expat families and individuals are very hard to spot and understand for most media specialists, mostly due to the diversity of the expatriate audience itself: Where are they? What is their favourite hangout, magazine, spending habits? Furthermore, at the difference of the usual more expensive expatriate's printing media, AlloExpat.com enables advertisers to interact directly with their audience and get the necessary instant feedback and market feel they really need. With the growing numbers of AlloExpat.com advertisers and the everyday feedback we receive from all of them we are able to continuously develop and improve our advertising platform to serve them better," said co-founder and Public Relations Director Theresa Giovagnoli. With fluctuating exchange rates and companies less willing to keep expats on their payroll, the economic landscape for expats is changing drastically. Expatriates have always been known for their ability to adapt to new cultures and contexts but the current financial crisis may prove to be the biggest challenge yet for internationals. The economic landscape across the globe is changing by the day and it is still unclear how that will affect the world and workplace – and the place of expats within it. Two things are already clearly impacted, though: the costs borne by expatriates in many European cities and overseas assignments by multinational corporations. A recent survey by the Economist Intelligence Unit (EIU), for instance, showed that while weakening exchange rates have substantially lowered the relative cost of living in Western Europe for expatriates, it remains the most expensive area of the world to live in. Western Europe boasts seven of the top 10 most expensive cities across the globe and all but two of the Western European cities surveyed are in the top 50, according to the report. 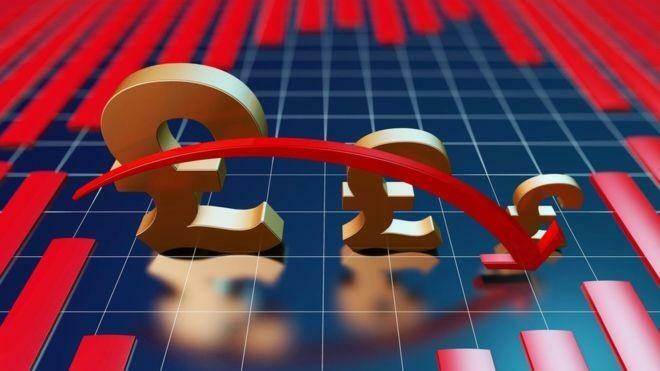 However, those living in Western Europe can take heart in the fact that the relative cost of living in the region is dropping – due, in large part, to drastic declines in European currencies such as the sterling, the euro and the Norwegian krone.